The May 1996 Everest disaster claimed the lives of eight climbers from three different expeditions. Two of the victims were the leaders of their particular expedition. Many of the survivors have since written about their experience. There was controversy over the deaths, some claiming that it was totally avoidable. Some also questioned an Everest climbing decision that has been like an unwritten law: Those above the Death Zone on Everest who cannot move are left to die. People have died in helping others, and Rob Hall of Adventure Consultants was told to abandon one of the climbers, but refused and died along with his client Doug Hansen near the South Summit. Many of the survivors have authored books on their experience, with themes ranging from survivor’s guilt to allegations of misconduct with decisions made by the leaders of the expeditions. I have read all of them. 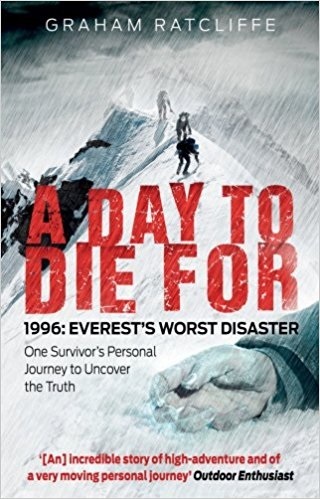 This book was written by someone who was there, but not on any of the expeditions that lost climbers on the mountain. One of the people who died, Yasuko Namba, died within 200 meters of the camp where the author was resting for his own summit bid, having avoided being involved in the disaster by delaying the summit bid to another day.